Naturally, when it comes to products on the consumer market, everyone wants to get the best for their needs as well as one that fits in their budget. The more options there are, the more everyone wants to know which is best. That question is no different when it comes to security cameras and surveillance system equipment. Among companies producing the best components on the market today, there are two top names to compare: Dahua and Hikvision. So in the question of Dahua vs. Hikvision, which comes out ahead? 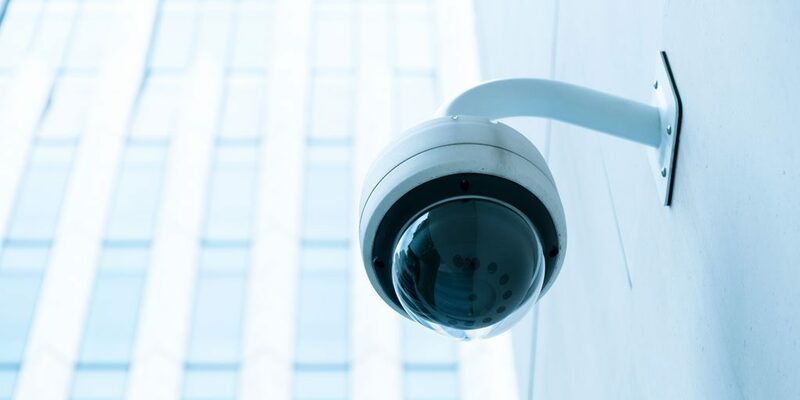 In comparing various features of Dahua vs. Hikvision, there are certain things to consider – not the least of which is the ONVIF and RTSP in each of the manufacturer’s IP cameras, especially if you have existing NVR. ONVIF ensures that the camera is compatible with third-party equipment. RTSP refers to a feature that allows software and other equipment access to the camera’s video stream. Both Hikvision and Dahua security IP cameras support them well. Next, are the sensors used in the IP cameras produced by Hikvision and Dahua. Hikvision and Dahua IP cameras each have 1/3-inch Progressive Scan CMOS sensors, which is the most commonly found type of sensor in IP cameras of this kind. When it comes to security cameras, the size of the sensor is extremely significant, as it directly affects the low-light ability of a camera. Larger sensors are better able to operate in low-light conditions. The more pixels a sensor has without being increased in size, the greater the detail reduction in the video produced – which makes the need for a larger sensor imperative. The larger the sensor, the less risk for lack of detail. In comparing the sensor size of Dahua vs. Hikvision IP cameras, the two are generally the same. The minimum illumination of Dahua vs. Hikvision IP cameras is also a matched game. Minimum illumination refers to the measurement of the minimum amount of light required for a CCTV camera to generate viewable images. Camera lenses are another important feature to compare. The security cameras produced by both Hikvision and Dahua each allow multiple fixed lenses with different focal lengths. However, while Hikvision has 2.8mm, 4mm and 6mm, 8mm and 12mm lenses, Dahua offers only the choice of 2.8mm, 3.6mm and 6mm lenses. If you’re looking for more options, Hikvision is the front-runner. Max bitrate is another area in which the Dahua vs. Hikvision comparison sways in favor of Hikvision’s IP cameras. Hikvision’s model has a max bitrate of 16Mbps, as opposed to the max bitrate of 10Mbps offered in Dahua’s cameras. Both are generally more than enough, but if that number is important to you, Hikvision wins the prize. Weight and dimensions of the cameras are also comparison points. Both share a similar weight, but Hikvision cameras have a dimension of 4.4 inches × 3.2 inches, while Dahua’s camera is 4.33 inches × 3.19 inches. Hikvision IP cameras are generally more affordable than Dahua IP cameras, though there are various ranges of IP cameras offered by both companies with different features whose price ranges vary. Resolution of the cameras produced by Hikvision and Dahua are the same, as is the fact that each offer motion detection features. As a company known throughout Northwest Florida for providing and installing quality custom commercial security and business security systems, we at Ivanco, Inc., have designed security solutions for a wide variety of clients. As a Platinum-level Hikvision dealer, we at Ivanco, Inc. believe that we are better able to meet the particular challenges of clients with any security need they face. In our dedication to our clients, we take pride and confidence in the Hikvision products we offer and know that we are serving with excellence. Call the team of security experts at Ivanco, Inc. to learn more about the differences of Dahua vs. Hikvision products today!